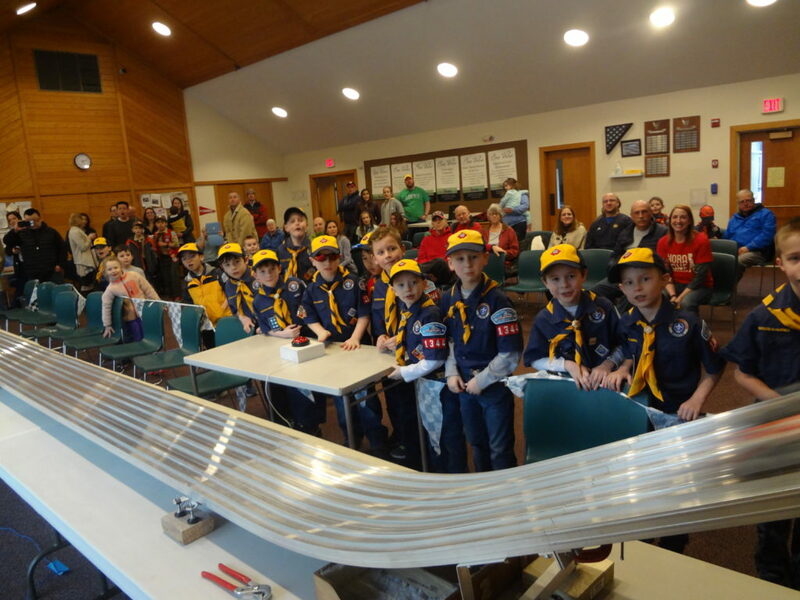 Cub Scout Pack 1344 holds an Annual Pinewood Derby Race in February. 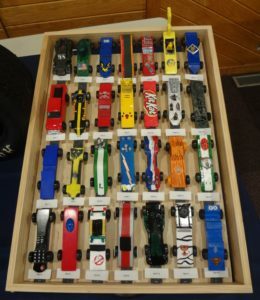 The Cub scouts design their own style car from a kit and compete against other scouts within their den for style and speed. All ranks, Lions through AOLs participate. There are trophies for 1st, 2nd, and 3rd place winners for speed and style. All 1st place winners in each den then compete against all other dens within the pack for the pack championship. 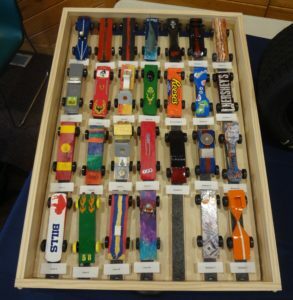 First place winners will also have the opportunity to compete against other packs in the area at the Patriot District Pinewood Derby. 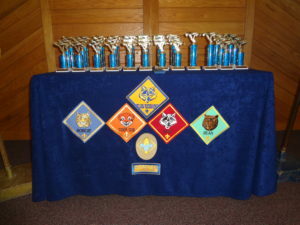 Every scout that participates in our Annual Pinewood Derby Race receives a Pinewood Derby patch. We also have a special race called the Outlaw Pinewood Derby race. 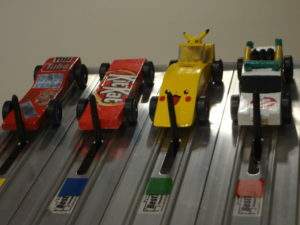 Siblings and family members of our scouts that want to participate in a pinewood derby race may enter the outlaw derby race. 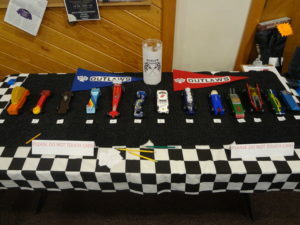 The outlaw pinewood derby race is immediately after the scout races. Winners of 1st, 2nd, and 3rd in speed and style win a prize! All the scouts did a great job designing their cars!